They should be forgiven most probably, as we should also forgive ourselves, but the forgetting part may be one of the most mistaken nuggets of advice from the self-help books. I am not talking about holding grudges here. I am talking about growth, and an acceptance of what is and has been, and working that reality into your own life-plan. When we start over, it may be with a clean slate, but that doesn’t mean the memory of what was on the board should all be lost. It means starting with a clear heart, and a clear mind, but not an empty head or an empty heart. 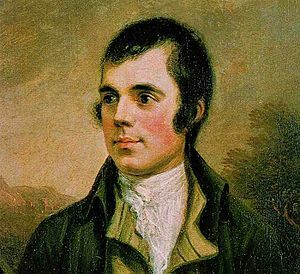 Robert Burns claimed to have “collected” the following lyrics from an old man. They are similar to those we are used to singing on New Year’s Eve. Perhaps these are a tad more clear, and to the point. And since I want to speak to you for a few minutes about relationships, music, healing and the new year, I think you’ll find them very appropriate for tonight’s post. Fellow blogger John Balaya posted an Indigo Girls song that got me thinking of another Indigo Girls song, which got me thinking about a song by Sting, and both got me thinking about an old flame. Isn’t it curious how one thing leads to another? Often certain smells, recall grandma’s house, perhaps baked molasses cookies, or even the musty scent of an old basement apartment, and those same smells instantly bring back the old emotions that we associate with them. Music does this for me also. Just a few words, or a melody line, and I feel the old feelings again, fresh as the day they first latched onto me. We are told by some to forget our past hurts, and that in forgetting we find healing. I contend that sometimes it is the memory that helps to save us, reminds us of what it is to be human, to feel pain, and loss, and maybe even comfort others in their pain, not with words perhaps, but with our own understanding of the processes of both loss and recuperation. It’s not in forgetting for me, but in reconciling that real healing comes. And sometimes working through the pain via music and poetry is the way to bring about, not closure exactly, but peace, a way to work out what I have done, what has been done by others, and all the pain involved into something that I can build on from there. And so as we say goodbye to 2012, let’s not just try to forget the pain, though some of it may be truly debilitating, and perhaps your own story is too horrible for this. Maybe I do not have the authority to speak to whatever has happened in your life. I haven’t been pierced by the same darts you have. But for me, coming to terms with my pain is what has helped me to grow. I confess there were times I felt I wouldn’t survive. But I did. And you did too. So where do you take things from here? What do you do with it? I do not believe that there is a power that works “all things to the good.” I believe that kind of work is up to us. How do we integrate all that has happened to us into some kind of fuel that carries us on into a better future? How do we make the damage useful? If we cannot, can we continue at all? Perhaps, but will we be whole? Okay, well that got a bit heavy, didn’t it? I was talking about songs and their memories. These two songs brought back memories of my first serious relationship with another man. We met at a difficult time of growth and transition for both of us, and we probably both needed to eventually go different directions, but we also needed each other for the time we were together. Our parting was a bad one. We tried to be friends, but I said stupid, thoughtless things. He perhaps took that as an opportunity to make the break that we probably both had to have. For years I didn’t hear from him, until a mutual friend helped us to contact each other again, and now we have a renewed friendship that is deeper and more solid than that volatile beginning. We are not lovers in this new relationship, but our time as lovers is encompassed in the greater wholeness that is our story. I can name so many songs that could recount the emotions from those days, not just of loss and pain, but of recovery, and of making what has eventually become one of the most solid friendships in my life. Here are two songs, the first from the Indigo Girls, and the second from Sting, that helped me work things through back in those days. Perhaps they will be meaningful to you. (If you click here, you can listen to the album version that I used to sing with in my car. It has two extra verses. Maybe they don’t add much to the piece, as I’ve noticed Sting leaves them out of his live performances, but to me they tell the whole story). You are so right about coming to terms with our pain. That really resonated for me. Thank you! Thank you, Michelle. I value that. Thank you for your kind words, dear. My name is David, and I am very pleased to meet you, LM. Nice to meet you David, my name is Joelly. Yes, yes, yes. To all of it. ah… accepting that our past was what it was. lovely! thanks… a wonderful way to end… and then… and here I quote Robert Eller-Isaacs… we forgive ourselves and each other and begin again in love… once more, with feeling! Live long and prosper, my friend! I will ruminate on this and see if I can come up with anything valuable to add! I have been away from your blog too long! Thanks for the visit! May your new year be filled with love and joy…I continue to enjoy your posts. Thank you! And you and yours too! Well pulled together threads and thoughts. And nice to revisit some old songs that triggered memories for me. Happy new year. Yes, here’s to a fresh new year. I wonder what songs from this year will trigger poignant or funny memories 20 years from now? Be well. You quote the very lines that grip me the most, up until that line, “I’m in love with your ghost.. . ” I was singing the Sting song last night, the album version, linked to below the video. And I was surprised, so many years out of practice, and I could still hit the notes and make the key changes. I used to sing in choral groups, duets, solos. I even directed a small church choir for a while (not because I was most qualified, but because nobody else wanted to). But I have sung to no one except the interior of my car for years. I am surrounded by musicians in my life, so I am asking them to help me learn again the things I had forgotten. I don’t want to be at these gatherings and not be able to join in in song. Loving John for his inspiration! David, this strikes me as so wise, when you write, “It’s not in forgetting for me, but in reconciling that real healing comes.” I’m embarking on a lyric essay project in which I hope to achieve forgiveness in a family relationship; it’s so easy–too easy–to tell myself I’m going to purge the problems and thus be able to forget them. What you say about “reconciling” is much more honest, and much more faithful to the complexities of human relationships and how we grow. Thanks for these wise words at the right time, and a belated Happy New Year to you! Thank you for that, Jennifer. I’ve been doing a bit of reconciling myself lately regarding some extended family matters. In actuality the issues and questions were settled a long time ago, but some of these things hang on like burs in this animals coat. Yes, I think honesty is best, along with some practicality. I am glad this post meant something for you. Your comment did for me.